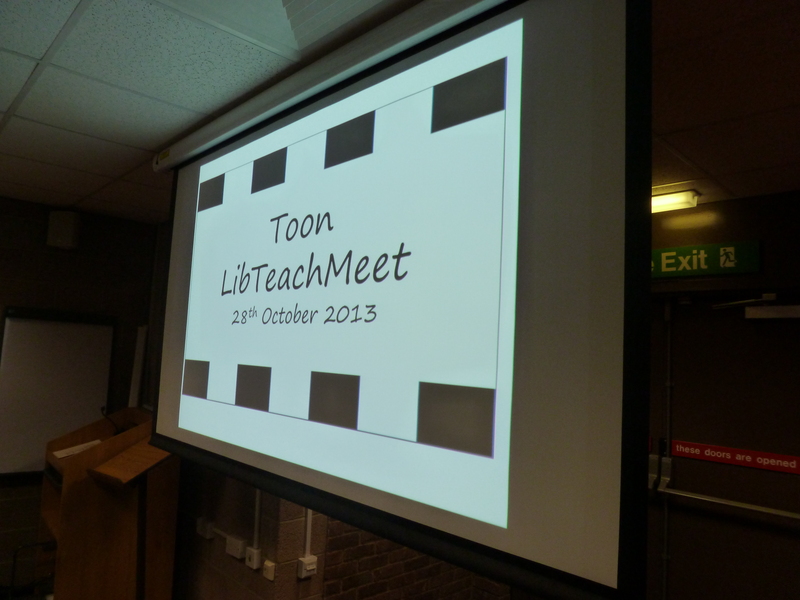 This was the second Toon Library TeachMeet (the first being waaaay back in 2011), this time kindly hosted by Newcastle University Library. 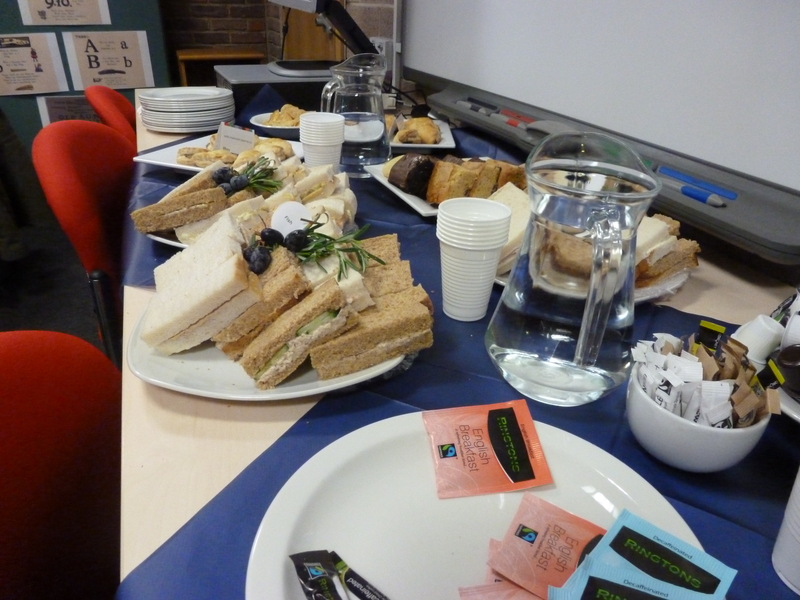 A late afternoon gathering of 14 people, keen to make the most of the freebies and food provided by CILIP’s Information Literacy Group . And of course to share ideas and experiences. 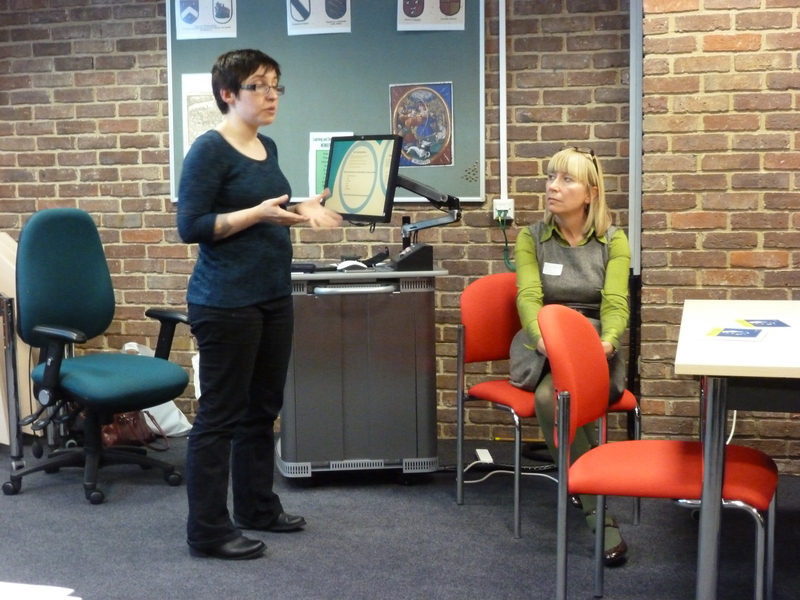 I co-hosted the event with my colleague from Newcastle University Library, Jackie Dunn. 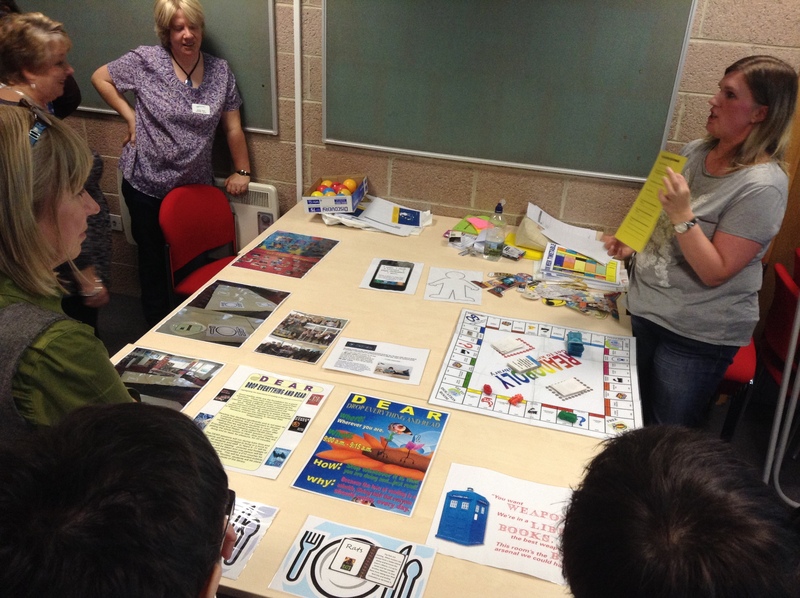 Participants came from across the north-east of England with schools, colleges and universities all represented. 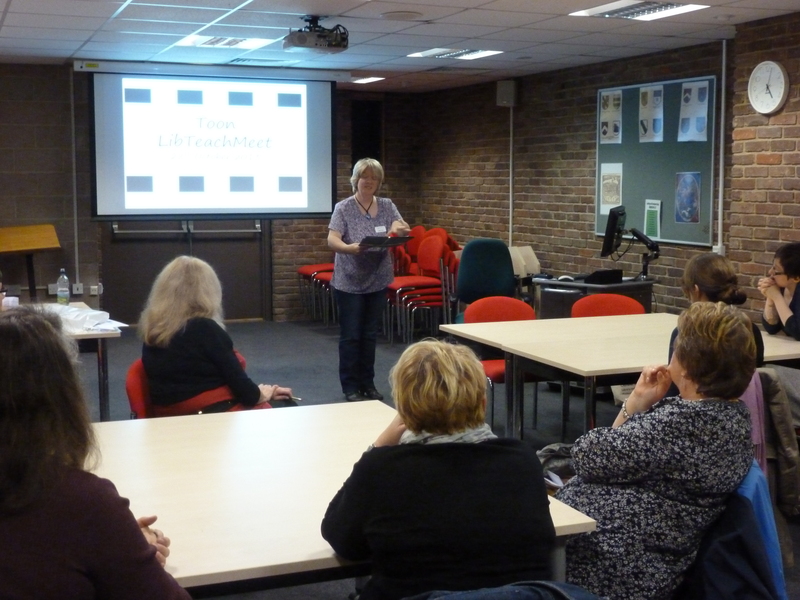 Introductions showed the challenges librarians face teaching such diverse abilities and subjects. To start off, I challenged everyone to create their own book from a sheet of paper, following some rather speedy instructions (an idea stolen from @simfin at #tmblakes13). 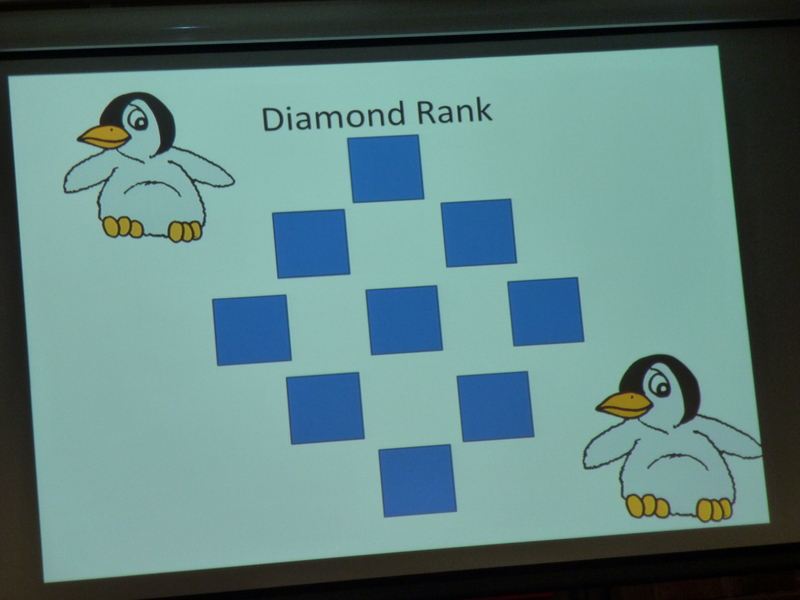 This activity can be used in a different ways, including to start an event, acting as a way of getting attention, encouraging attentive listening and, of course, breaking the ice. 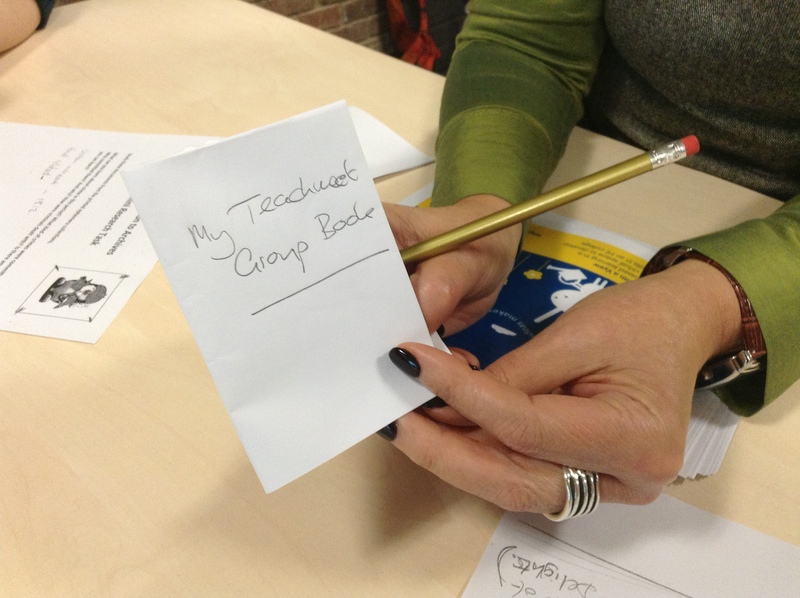 It also leaves learners with a notebook to use for the rest of the event! I’ve seen the same activity used recently by our Special Collections librarian to explain how books are made. If you want to see how it’s done see this Youtube video – you don’t really need scissors unless you want it to be neat! Julia described a quick technique she had been using in staff development sessions. This simple but effective idea involves the use of a ‘genius pad’ (huge post-it note), to prompt discussion and gather feedback from groups. The purpose would be to try to find out the feelings and attitudes to a particular topic, which can then be addressed in the session. 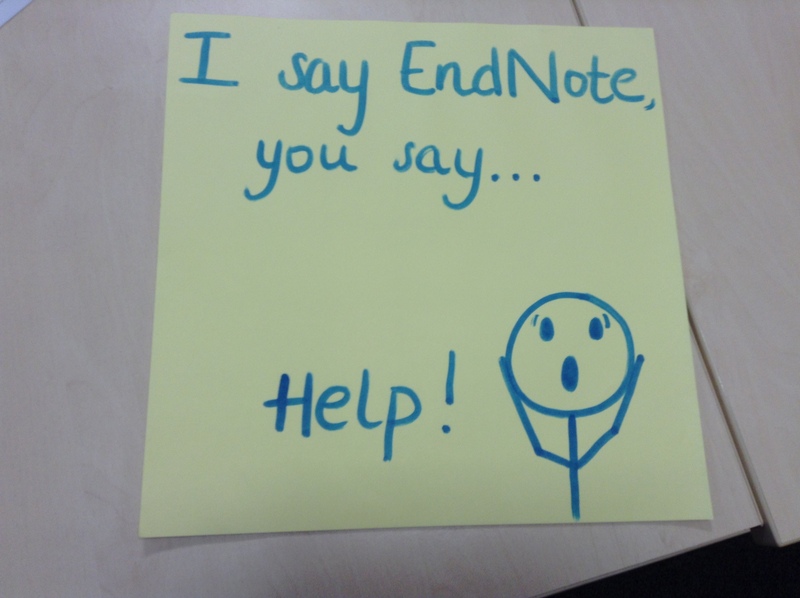 In Julia’s session, her topic was “I say EndNote… You say…”. Responses might include words or drawings (she mentioned one participant drawing a screaming face!). There was some discussion about Julia’s EndNote session more broadly, as it was actually a session designed to teach library information desk staff (not EndNote specialists) how to deal with EndNote queries, and not how to use EndNote itself. 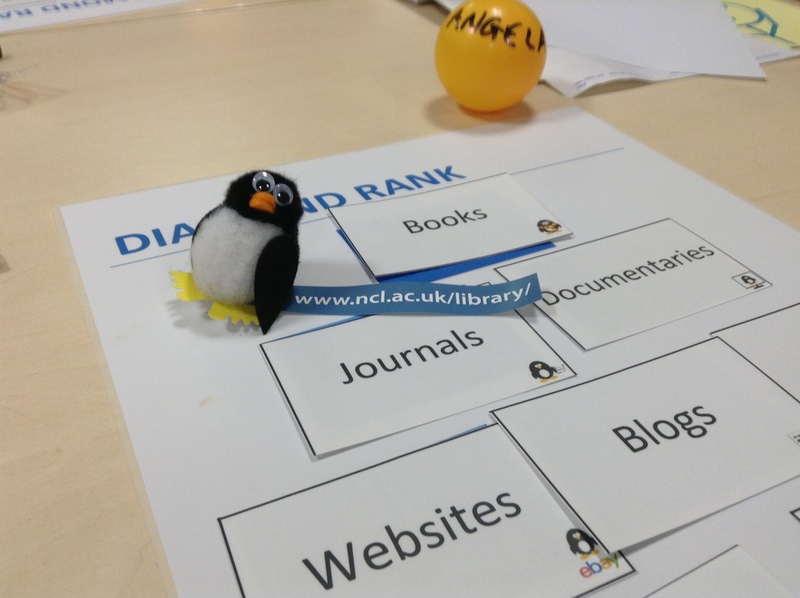 The idea being, teaching staff how to find the answer on the library web site or documentation rather than know the answer – some others in the room thought this might be a technique they could use. 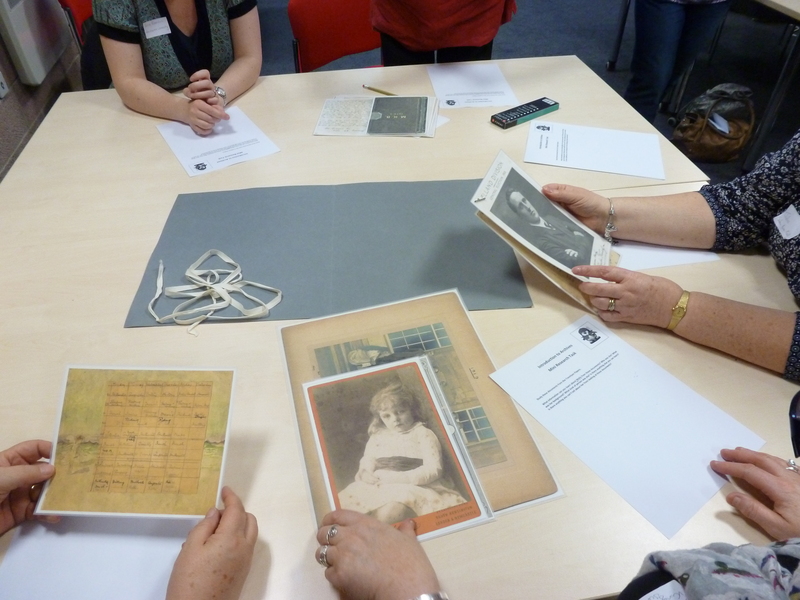 Christine and Leanne described how they delivered sessions to distance learners and showed the resources they used. With around a third of students studying off-campus, including at local partner colleges, distance learning is important. They delivered 3 hour sessions to groups on another campus, who had their lecturer in the room with them. Christine and Leanne described their adventures in trying out a wide range of technologies, some of which I was familiar with (Skype, Camtasia, YouTube), and others not (Vyew, Tout). Vyew (http://Vyew.com) was chosen for the sessions, which included a range of features such as chat, interactive collaborative whiteboards, editing tools such as pens, highlighters and post-its, video-conferencing and screensharing. Using a problem-based learning approach, students had to select a real-life problem to solve and base their literature review around. The librarians then acted as facilitors in providing guidance throughout the live session. Christine and Leanne’s reflections highlighted that collaboration and preparation for the sessions was time-consuming and the activities needed careful management. Feedback from students was good overall, with key success factors including the involvement of the lecturer, the link between work and study and the increased engagement that the problem-based learning approach offered. 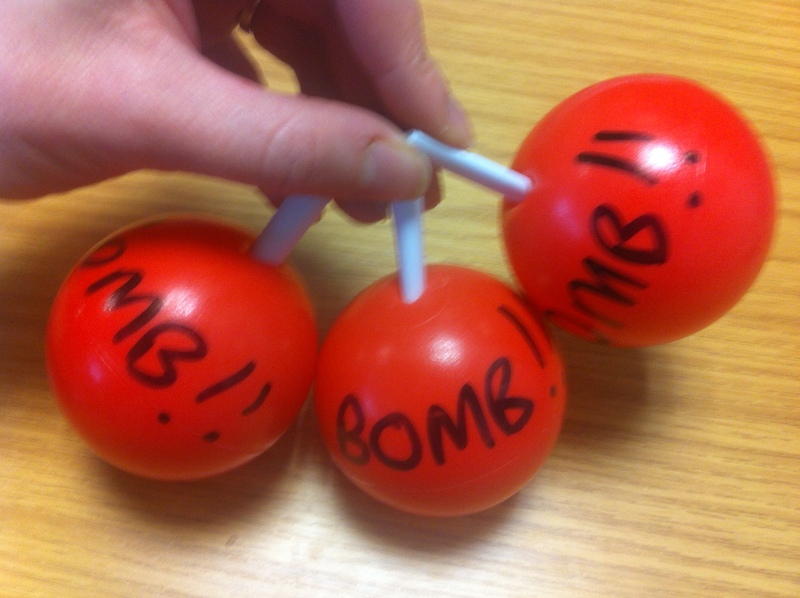 I used my slot to try out and activity I’m working on – which adapts an activity called ‘Thought bombs’. I came across this idea from a teacher, Lisa Jane Ashes (@lisajaneashes), who used this in English sessions to develop skills in character analysis within literature. I thought this could be adapted to information sources, so tried this out and got some feedback from the group. First of all I ran a brief version of Lisa’s activity – from the three characters described, which one would you save from a sinking ship? Choices included a 16 year old girl, a materialistic housewife and a father of 3 children. 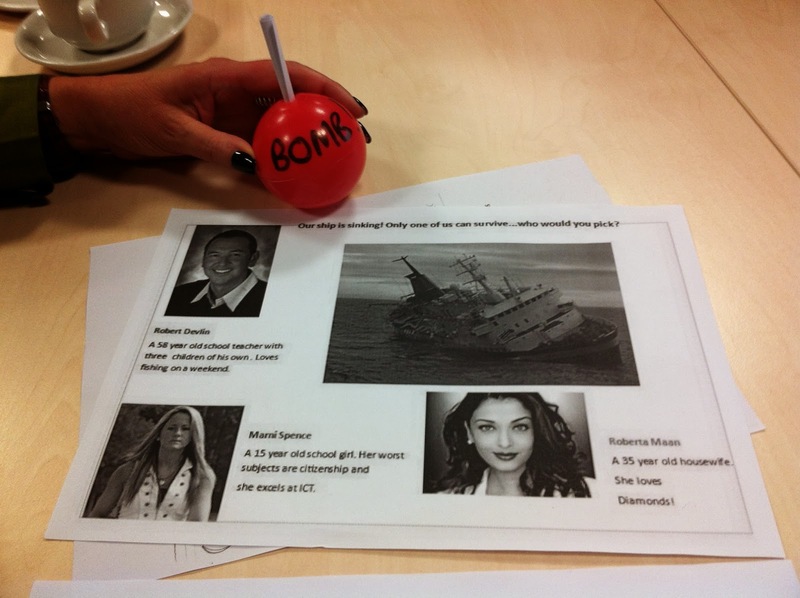 Thought bombs – a plastic ball containing a slip of paper – were dropped onto each table. The slip of paper contained information that would then make the groups re-evaluate their decision, for example, the 16 year old is a murderer and the materialistic woman does a lot for charity. 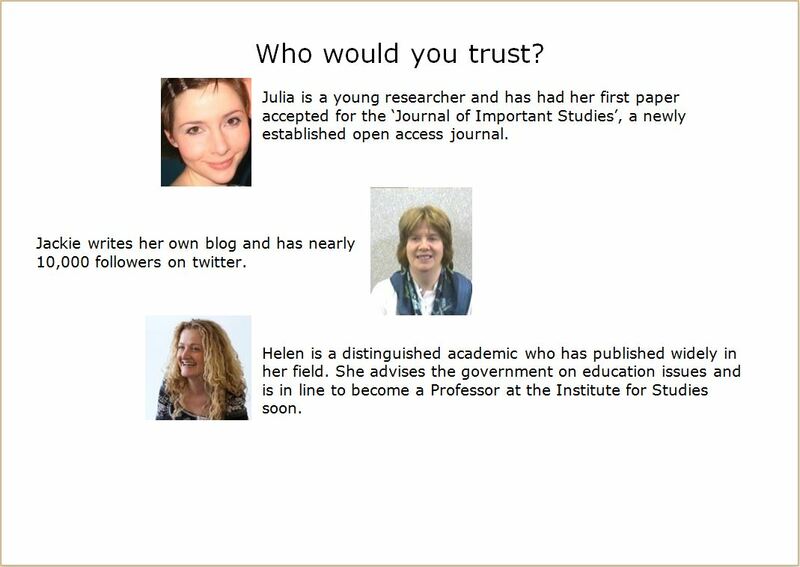 In my version, I gave a handout describing 3 different authors and asked the groups to discuss which author they would trust the most. The thought bombs included information about a leading researcher who at first seemed authorative, was found to have been taking bribes, or a popular blogger then manages to get a book deal. While the activity is still a work in progress (there were some lively discussions! ), it was good to discuss how it could be developed. Julia suggested the thought bombs could involve changing the requirement for the information, for example, selecting the best source for an essay as compared to a news item. 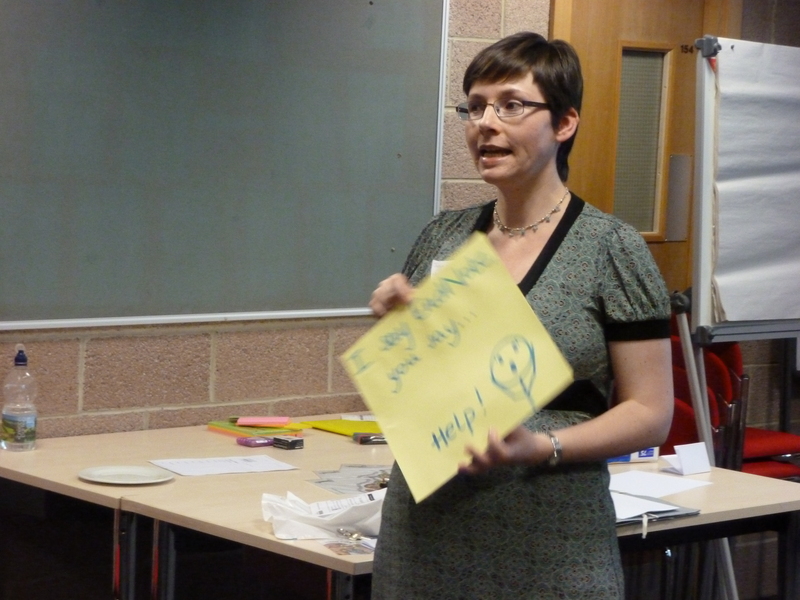 One of the presenters, Leanne Young, has also written up the event on the ARLG North-East blog. Video | This entry was posted in CPD, Information literacy, Staff Development, Teaching and tagged libteachmeet, teachmeet. Bookmark the permalink.